And this tied in nicely with last week’s guest page! 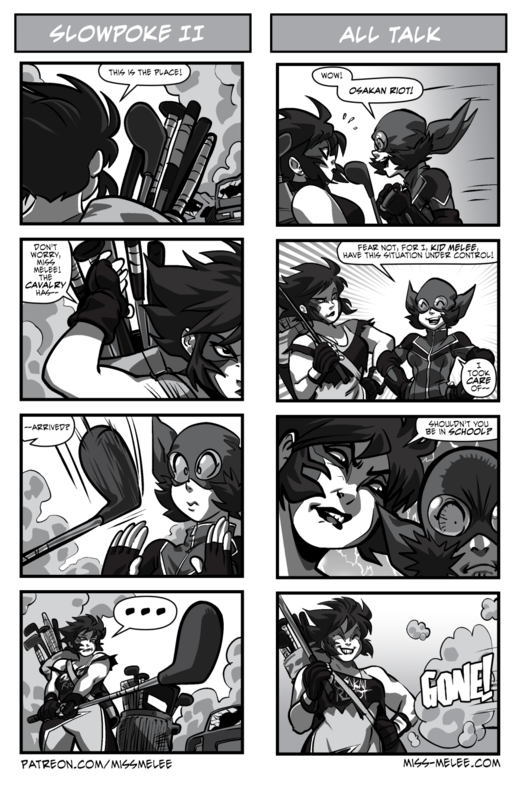 On the Miss Melee Patreon the Miss Melee #1 Proof Copy raffle has less than two weeks left to enter! Pledge to our new physical copies tier to enter that raffle, and also receive physical copies of future Miss Melee issues! Find out more on the Miss Melee Patreon! What’s Rimi’s relationship with Jackie like? Osakan Riot is becoming my favourite character. Kid Melee has just been “disapproving Mom” ‘d.